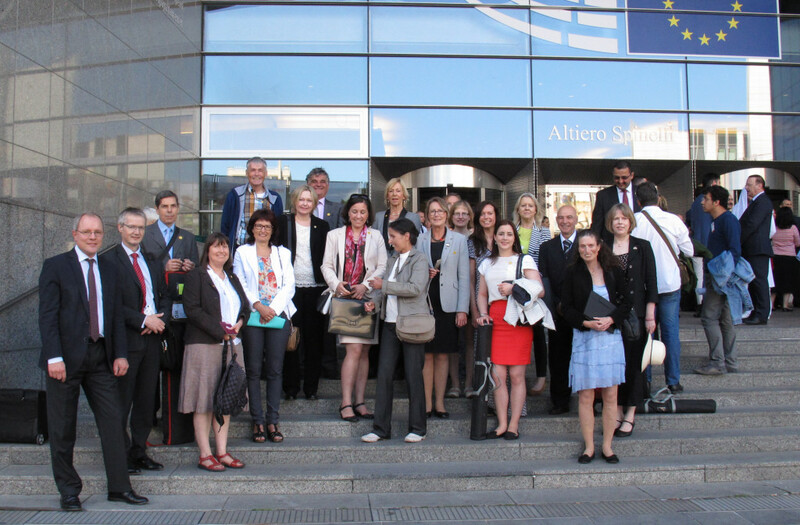 To celebrate World Scleroderma Day 2015, the Federation of European Scleroderma Associations (FESCA aisbl.) 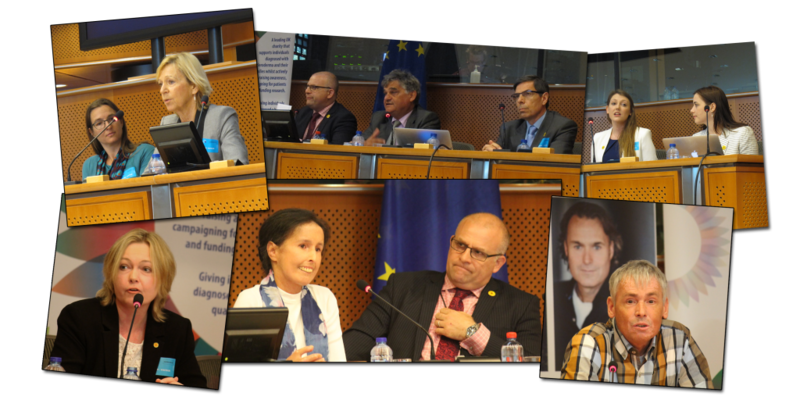 held the European Parliamentary event “Unveiling Scleroderma: Hidden Truth” on June 30 in Brussels. 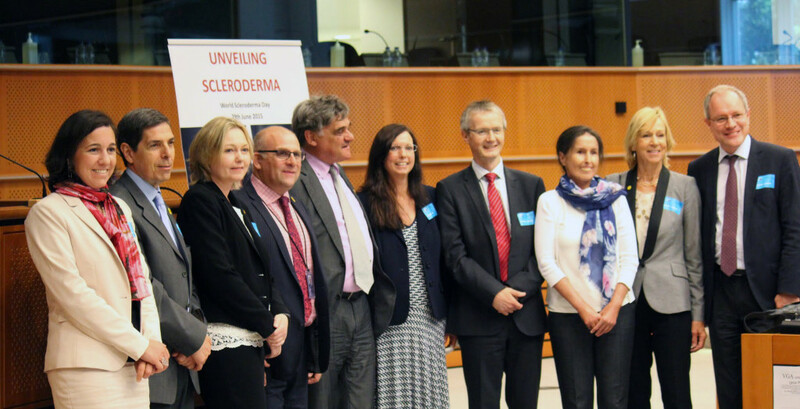 All MEPs were invited to this EU Parliament meeting to listen as the invited experts spoke about the quality of care available for scleroderma patients across Europe. Hosted by James Carver MEP, who lost his wife to scleroderma in 2009, the event provided a unique forum for patients, physicians, and politicians to share their stories and understanding. 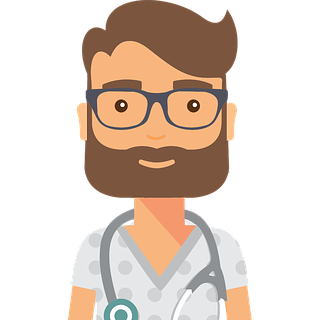 Key medical professionals from across Europe highlighted the importance of early diagnosis, sufficient investment in research and specialist centres, and equity of care. The presentations on these topics included insightful talks from Professor Denton (UK), Professor Distler (Switzerland), Dr. Posada De la Paz (Spain) and Professor Van den Hoogen (Netherlands). 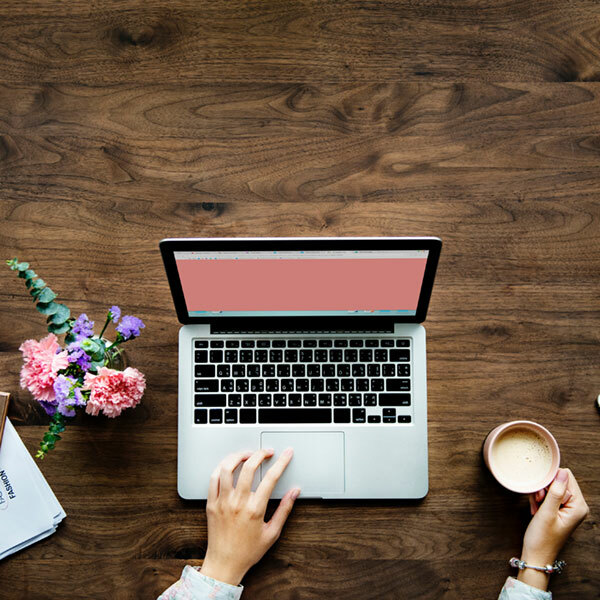 These key rheumatologists spoke of how although the effects of scleroderma can be devastating, proper treatment and management will enable people with scleroderma can lead full and rewarding lives. The MEPs attending were also privileged to hear from a number of patients themselves, from Denmark, the Netherlands, Hungary and the UK, who shared with the audience inspiring stories of their difficult journeys with scleroderma. EULAR representative Nele Caeyers spoke of the support that is given to FESCA by the EU’s major rheumatology organisation. 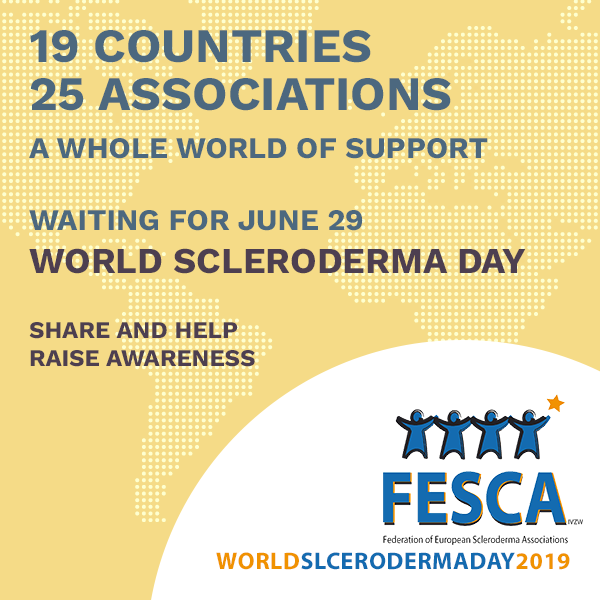 World Scleroderma Day 2015 was developed by FESCA to raise awareness of the 2.5 million people currently diagnosed worldwide who live with this rare and under-recognised disease. 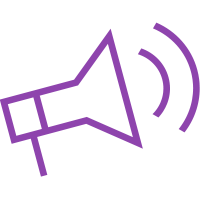 Its success is due to the commitment of all the national patient support and advocacy groups who form part of the umbrella organisation.